Are you planning on leaving a job in the near future? Make sure you consider how you plan to resign from your job. Doing it the wrong way can lead to bad feelings between you and your employer, recriminations or even a bad reference. On the other side, correct resignation etiquette will contribute to continued success in both your personal and career development. You want your resignation to be fully professional. The following are 5 tips to take into consideration when looking to hand in your notice. The usual rule of thumb is one months notice but this largely depends on your seniority and tenure with the company. Note that customs can differ. In some upper level jobs, the acceptable period is much longer. Pay attention to what’s been done at your company and for job titles equivalent to yours in the past. You should be clear on the required notice period, as you would have needed to know this to negotiate your start date for your new job (if unsure, refer to your employment contract or ask your HR department). The longer notice period you give the more time you give your manager to advertise and arrange a replacement, or at least have the process under way. It also gives you time to train any necessary people about your tasks, or to make lists of deadlines you meet. You will need to write a letter tendering your resignation. You don’t need to go into great detail, your written notice should be short, polite and to the point. It’s enough to say you have accepted a new position or are moving on to new responsibilities, if these are the case. Give the date of your last day, so there’s no confusion. You never need to say exactly why you’re leaving, if there are specific reasons. Use the resignation letter template shown below, address it to your direct supervisor, sign it and make a copy for your own records. In addition, prepare a list of projects and activities that you are currently working on, and their status to aid smooth transition. A resignation letter should also thank the firm for giving you the opportunities it did. Always be positive in the letter. Never try to resign via a phone call, e-mail, or text. It’s considered unprofessional in most places. Again, never be negative about the company, your bosses, or co-workers. It could be the job was a wonderful experience, in which case you wouldn’t utter harsh words. But frankly, many people do have at least some negative experiences on the job. It’s not good form to talk about them or criticise anyone in the period you are still on the job, or after. All companies and bosses, everywhere, assume that you will behave to them in the same way you did to companies and bosses in the past. If you criticise, it will be assumed that you will eventually become negative about the new place as well. It could affect how you are viewed and your chances at promotion going forward. If your colleagues ask you out for rounds during the last two weeks and begin negative talk about the company themselves, change the subject or be neutral. Don’t join in. Many employers encourage departing employees to complete an exit interview, usually with an objective member of staff, your manager’s manager or a member of the HR team. During this, the reasons for your departure will be discussed and documented. You may decide to keep your reasons for leaving to yourself, which you are entitled to do, or you may use this as an opportunity to provide constructive feedback on your experience with the company. Overall, by trying to focus on the positives of your time with the company and the contribution you’ve made, you can minimise any unpleasantness during the resignation process and look forward to your next opportunity. It may be, especially in the current candidate driven market, that your manager presents you with a counter-offer during or following your resignation meeting. While flattering, these should always be approached with a degree of caution. From our research 68% of employees who accept a counter-offer leave within the next 6 months, proving that the situation doesn’t always improve just because your salary does. Make sure you remember the reasons that you initially wanted to leave before deciding whether it is the right decision to accept. This is to inform you that today I am submitting my resignation of employment which will become effective as of (Last Day of Employment). I appreciate all that (Company Name) has afforded me, but after careful consideration I have made the decision to accept a new position. I am confident that this move is in my best interest, as well as that of my family and my career. I know that you will respect my decision. I wish all the best for (Company Name) in the future. I will use the remainder of my time with the company to have all my work in order by my last day of employment. Looking for the next opportunity in your career? Contact us for more information and a detailed breakdown of on-the-market jobs in your sector. 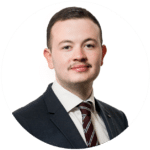 Brendan is a member of Engineers Ireland and holds a 1st class MSc in Energy Engineering from the University of Aberdeen, and an Honours Degree in Mechanical Engineering from the University of Limerick. Prior to joining Lincoln Recruitment Brendan worked as an Engineer for over 4 years in industry where he worked on some of the largest Civil and Building projects in Ireland, the UK, and the Middle East. Our Construction, Operations and Engineering desk at Lincoln works with many of the most reputable companies in this space across Ireland, the UK and further afield.